But the Louis Tully character could have been very different. Legend has it that Dan Aykroyd and Harold Ramis originally wanted Louis to be played by none other than John Candy. 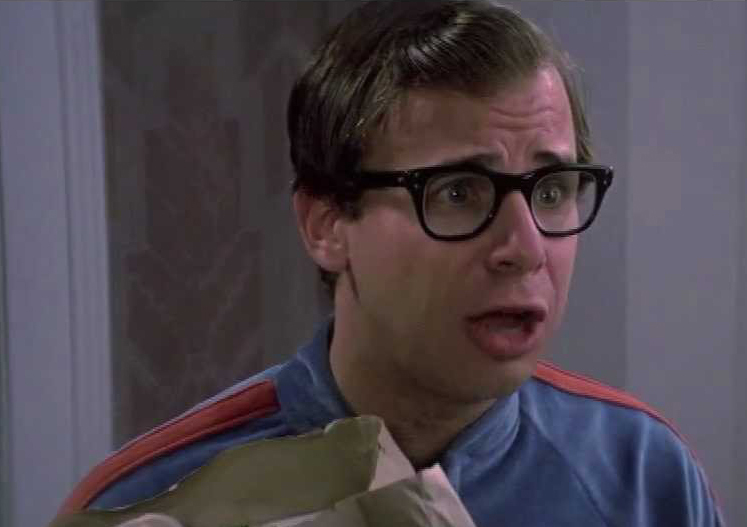 In the pages of Ghostbusters: The Ultimate Visual History, producer Joe Medjuck explains that the character was originally supposed to be more flamboyant, much like Candy’s SCTV character Johnny LaRue. But seemingly not wanting to go that route, Candy suggested something that in hindsight seems downright bizarre: Giving Louis a thick German accent and two pet rottweilers. 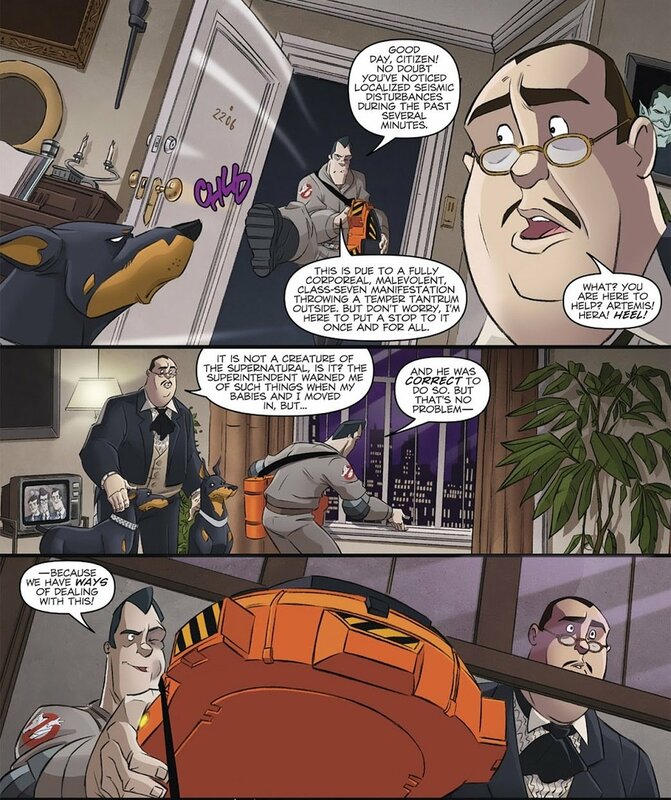 Decades later, Erik Burnham, Dan Schoening, Luis Delgado, and the IDW Ghostbusters crew gave us a hell of a “What if?” moment in the pages of Ghostbusters #4. Ray kicks down the door to room 2206 (Dana’s old apartment), and who does he find but a portly German fellow with two pet rottweilers and a very familiar face. While you can’t take anything away from Erik Burnham’s script, Luis Delgado’s colors, or anything else the IDW team brought to the table, Dan Schoening was really the star of this page. One of the things that sets his take on the Ghostbusters apart from everyone else’s is his distinct style. It’s obviously cartoony. But he incorporates enough of the actors’ likenesses to make it feel like you’re watching an extension of the movies. John Candy gets the same treatment here. It’s so plainly him, and it really warms your heart. For more Dan Schoening Easter Eggs, check out Martin Short and Grandma Winslow, and Eddie Murphy at Ghostbusters HQ. This entry was posted in Dan Schoening Easter Egg Hunt and tagged 55 Central Park West, Dan Aykroyd, Dan Schoening, Dan Schoening Easter Egg Hunt, Dana Barrett, Erik Burnham, Ghostbusters, Ghostbusters #4 (2011), Ghostbusters: The Ultimate Visual History, Harold Ramis, IDW Publishing, Joe Medjuck, John Candy, Johnny LaRue, Louis Tully, Luis Delgado, Ray Stantz, Rick Moranis, Rob Siebert, SCTV, Stay Puft Marshmallow Man on 09/07/2018 by primaryignition.